Get fast, mobile access to the LMAX Global venue, VWAP across all LMAX Global venues and the very latest FX news. 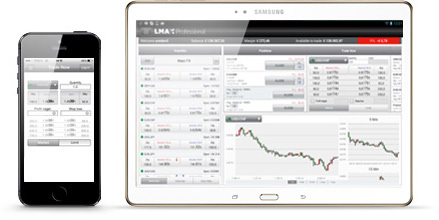 All LMAX Global Android™ and iOS® apps integrates seamlessly with LMAX Global, delivering ultra-low latency exchange quality execution, the very latest VWAP FX market data and up to the minute, vital, FX news – at the touch of a screen. 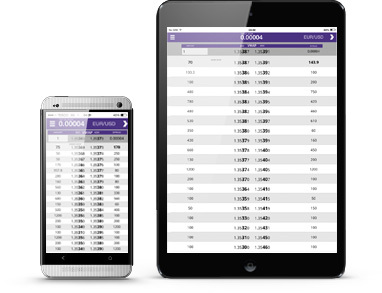 The LMAX Global trading app delivers full trading functionality, real-time price updates and exchange quality execution speeds. It also comes with a Me2 mirror trading (iPad only) capability, social news feed and is currently the only trading app showing full market depth. 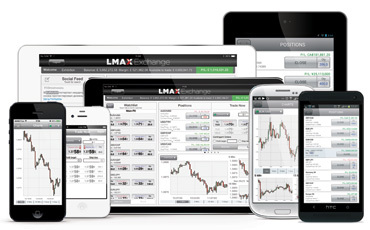 The LMAX VWAP app, with full market depth, delivers live FX market data, along with volume-weighted average prices for all instruments across LMAX Exchange’s trading venues (LMAX Professional, LMAX Institutional and LMAX InterBank). The LMAX News app brings the very latest FX news, market data, charts and economic calendar in one easy to use app.